Why Public bodies fear to be “Public Authorities”? 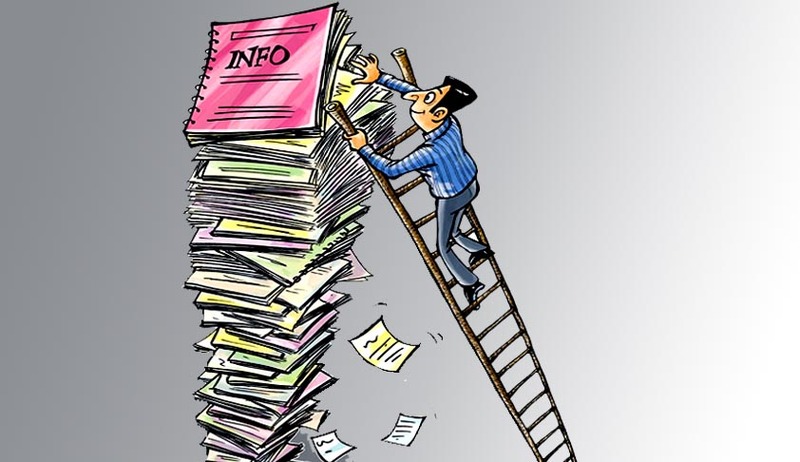 The RTI regime is facing a peculiar problem with many political parties, public servants, utility services, educational institutions and some public authorities refusing to be in ‘public’. They do not want to respect the people’s right to information, while the law and administrators of that law are taking years to say whether they are public authorities or not. Some of the public authorities are interpreted to be private bodies by reading the definitions out of context, separated from objectives and distanced from the purpose. Some of the interpretations are pathetically splitting the words from sentences. Unfortunately the spirit of access law is ignored many a time, leading to total denial of legal right guaranteed by the Parliament. In globalized world being described information society, there is a need to understand Section 2(h) of the RTI Act which defined ‘public authority’ a key expression that practically decides the right. Several agencies are trying to escape from the obligation of disclosure. Besides, private Universities, schools calling themselves Public schools, Trusts, Cooperative Societies, surprisingly some of the sports bodies which have monopoly over the game, institutions and authorities which were in fact public authorities and office established by the Constitution also have refused to disclose information about their authority. The institutions include several bodies which even a common man can easily identify as public bodies. For instance, the IRCON international Ltd, a public sector company under Indian Railways refused to give information until the Central Information Commission declared it as public authority in 2006. None could imagine the logic of the Hindustan Aeronautics Limited, a Public Sector Undertaking to refuse to be public authority, saying no specific notification. The Commission observed that such an interpretation would be absurd. The UTI Asset Management Company, which is owned by four public authorities denied transparency obligation until the Commission reminded. The National Stock Exchange and Jaipur Stock Exchange also hesitated to give information until CIC compelled. SEBI and other stock exchanges though constituted under Securities Contract Regulation Act 1956 did not hesitate to gain time not to give information making ordinary citizens to run pillar to post to fight for information. The International Olympic Association and Common Wealth Games committee feel they are answerable to none. The Power Distribution Companies, the DISCOMs fought tooth and nail to go out of RTI Act. The CIC declared the Delhi International Airport Private Limited (DIAL) was declared as a public authority and pulled it up for misrepresentation of facts. The Commission quoted DIAL’s own submission that it was performing the functions of a quasi-government body which impacted the daily lives of the citizen. They secure a stay on operation of this order. The Commission is final authority as per RTI Act. But courts do not order to disclose information even temporarily or conditionally. They get an absolute stay for an indefinite period which gets extended depending upon pendency. Delhi Public School, Board of Control for Cricket in India, Discoms such as NDPL, BSES Yamuna and BSES Rajdhani, General Insurers’ (Public Sector) Association of India (GIPSA), Shiromani Gurdwara Parbandhak Committee (SGPC), GIC Housing Finance (GICHFL) and LIC Housing Finance (LICHFL), Mumbai International Airport (Private) Limited (MIAL), Reliance Infrastructure Limited – R-infra, (which distributes electricity to 27 lakh houses in Mumbai’s suburbs, for which the MERC issued a licence for power distribution and public shareholding in the company is 57.11 percent), and many such institutions approached the higher courts challenging the decisions holding them as public authorities. The orders of the Information Commissions were stayed. As per universal jurisprudence the trust is a public body which any person can challenge whether it was working for the welfare of beneficiaries. Section 19 of Trusts Act 1882 imposes an obligation on trustees to be transparent. But several trusts, memorial foundations, societies refuse to be under the RTI Act in spite of legal obligations to disclose prescribed in their laws. Jawaharlal Nehru Memorial Fund was initially considered not to be public authority, but after it was remanded by Delhi High Court, the Commission found, based on grants the ‘Fund’ received as public authority. Similarly Army Welfare Housing Organization refused to give information. The Information Commission got a unique opportunity to decide that institution of Judiciary and its head are not separate but same authority which can be categorized as public authority for purposes of RTI Act. The CIC has to say that information available with the Chief Justice of India must be deemed to be available with the Supreme Court of India. An authority which was constituted under Article 124(1) Constitution should be simply the public authority as specifically provided under section 2(h). But the citizen who sought some information about judiciary was denied and made to go round the Delhi High Court and ultimately to the Supreme Court also. Very interestingly the Supreme Court refuses to disclose and resists appeal before CIC. After failing in CIC and Delhi High Court, the Supreme Court appealed to Supreme Court to reverse the orders of CIC. The common man of this nation fails to understand why such big institutions are digging entire jurisprudence of the universe and fighting to protect regime of secrecy. All these years people knocked doors of courts for justice. But now apex court has knocked its own doors for ‘justice’ to deny information to an ordinary citizen of this country, what a paradox! The average citizen is equally perturbed when political parties who beg for the votes of public and promise to ‘serve’ them like servants refuse to answer simple information requests. The RTI is scaring everyone ranging from a private school, cooperative society to apex judicial authority and ruling parties. When this law was passed, people thought legislature and judiciary, being open functionaries, would not pose any problems in disclosure, though such problems were expected from executive. Each Union Ministry/ Department should also have an exhaustive list of all public authorities, which come within its purview. The public authorities coming under each ministry/ department should be classified into (i) constitutional bodies, (ii) line agencies, (iii) statutory bodies, (iv) public sector undertakings, (v) bodies created under executive orders, (vi) bodies owned, controlled or substantially financed, and (vii) NGOs substantially financed by government. Within each category an up-todate list of all public authorities has to be maintained. Each public authority should have the details of all public authorities subordinate to it at the immediately next level. This should continue till the last level is reached. All these details should be made available on the websites of the respective public authorities, in a hierarchical form. A similar system should also be adopted by the States. In fact the executive should declare what is public authority to fulfil the mandate of providing access to public information. Section 5 of the FOI Act (UK) gives the Secretary of State, power to designate private organisations as public authorities if either they appear to him to be performing functions of a public nature; or they are carrying out functions under contract with a public authority which would otherwise be up to the authority to provide. In case of charities, the UK Act applies only when they are set up by the Crown, statute or a government department and have at least one nominee of the Crown or the government department. A small number of ‘wholly publicly-owned’ companies are subject to the Freedom of Information Act in UK but the vast majority of private companies are not. The Governments both at Center and States are outsourcing many of their functions creating monopoly over such aspects to those outsourced agencies which make profits out of that monopoly. But they do not fall within the scope of definition of public authority for many reasons including that of understanding and interpretation. Administrative Reforms Commission felt it desirable that institutions that enjoy a natural monopoly, or whose functions impinge on citizens’ lives substantially, must come under the provisions of the RTI Act. Also it may be desirable to define what ‘substantially financed’ would mean, otherwise different authorities may interpret this in different ways. Organisations which perform functions of a public nature that are ordinarily performed by government or its agencies, and those which enjoy natural monopoly may be brought within the purview of the Act. The definition of ‘public authority’ became a hitch in creating practical regime for RTI and kicking up unnecessary litigation. The public authorities are fighting the public with the public money to deny them access to information which should have been in public domain. The government should emphatically declare the public authorities by notifying the list and create a practical regime to implement the right to information.